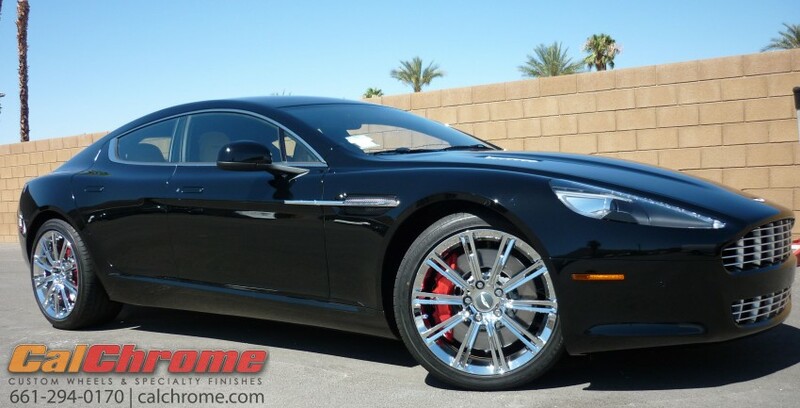 We offer many different wheel finishing services, but our main focus and specialty is original equipment automotive alloy wheel chroming and rechroming. When comparing chrome plated alloy wheels between different manufacturers it may be difficult to determine the differences. 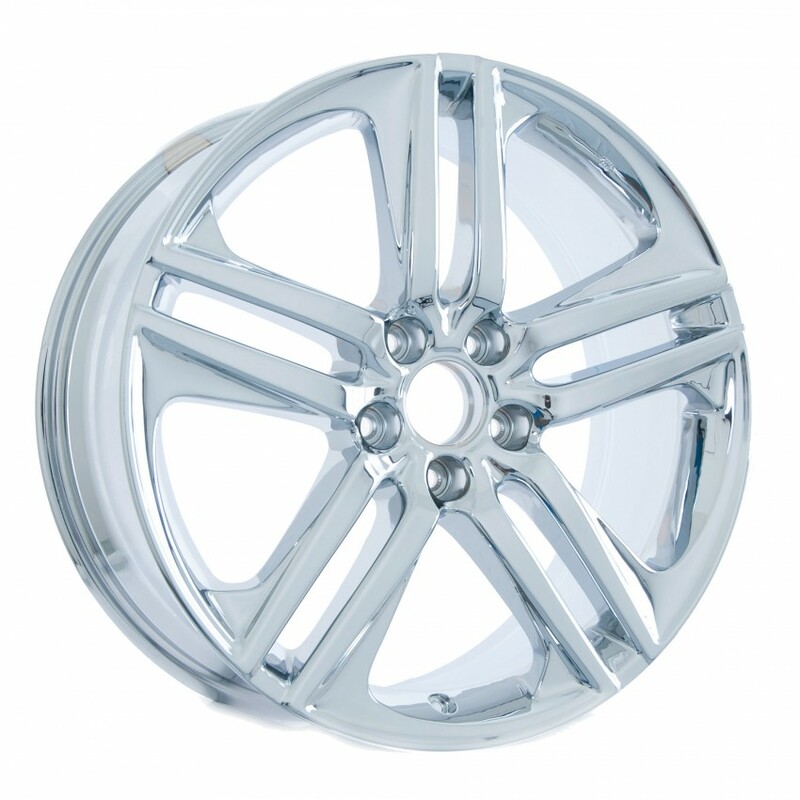 But there is more than cosmetics to a quality chrome plated wheel. What you cannot see is the additional plating time and craftsmanship involved to produce a superior part. 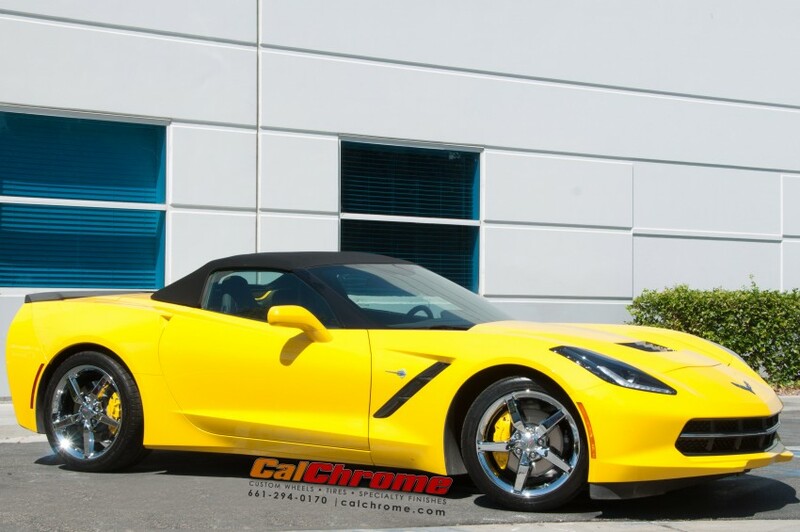 We at California Chrome Wheel take extra time and additional steps to help prolong, protect and ensure that the original finished luster provides years of service. At California Chrome we are known to be one of the top quality platers, this is in fact due to longer plating cycles than our competitors. For years the term triple chrome plate has been the mark for top quality chrome plating. 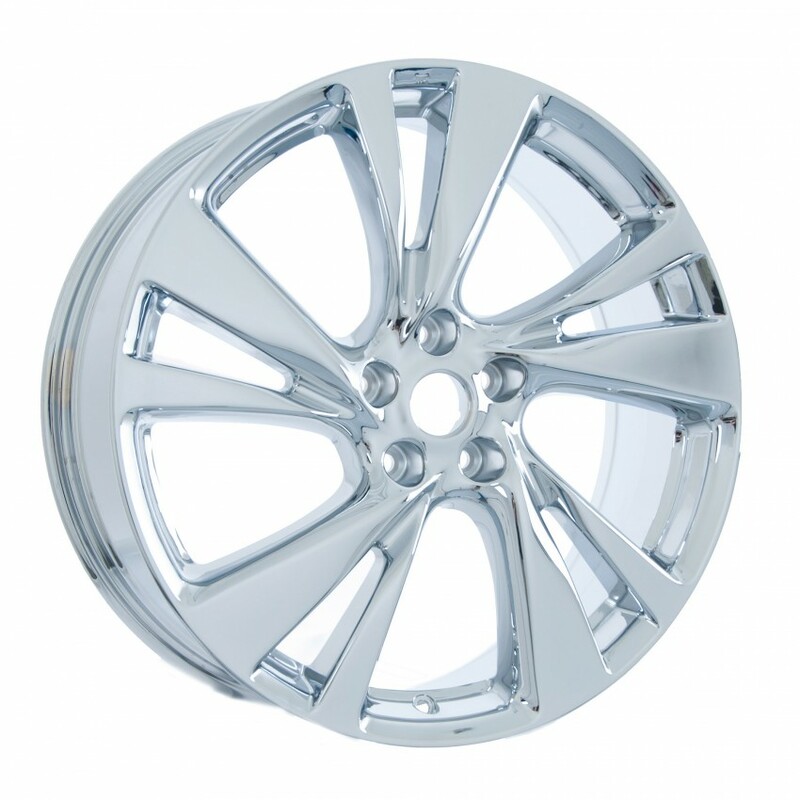 In reality, alloy wheel chrome plating is a multi-layer of metal. Some of our competition only use two or three layers, calling it triple chrome. 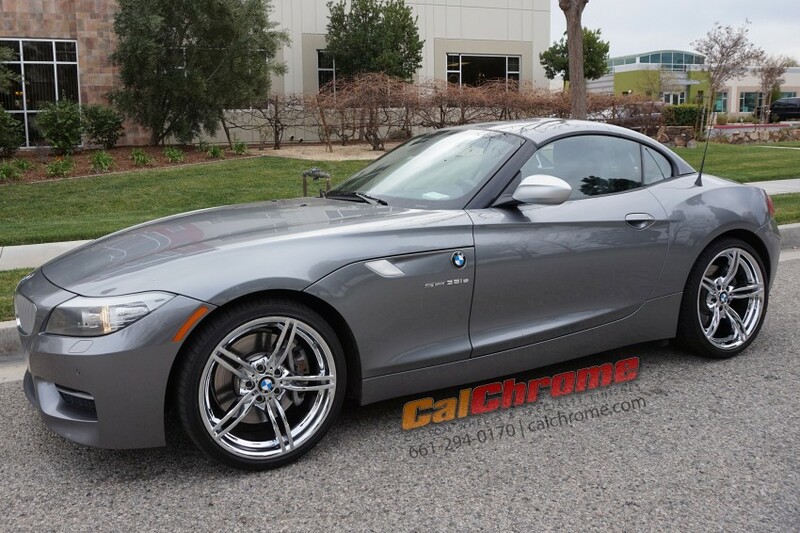 At California Chrome Wheel we have developed a proprietary five plate process, which incorporates the use of copper. Its this additional plating step that each wheel receives that makes the difference. » See an interactive cutaway of CalChromes layering process, starting with bare metal all the way up to the final layer of chrome. 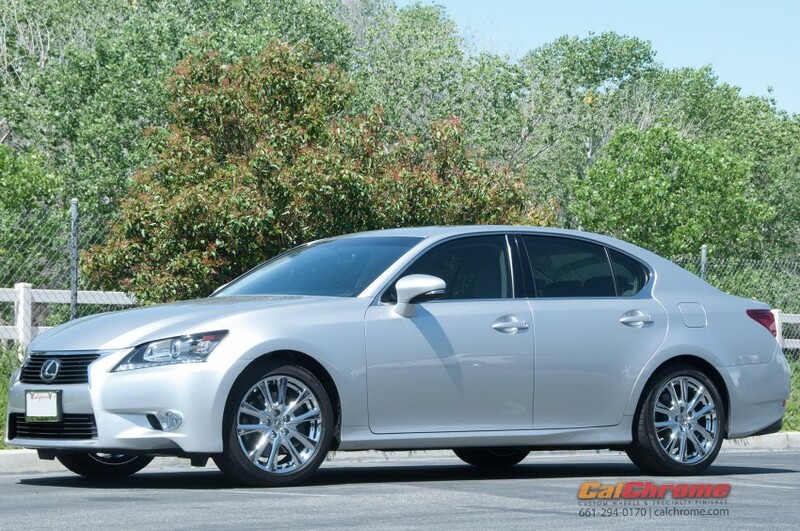 These additional steps yield a show-quality finished product that is utilized by our high-end clientele.We provide at the automotive dealership level direct to Jaguar, Land Rover, Lexus, and Mercedes-Benz. This also includes wheels manufactured by Alcoa, Weld Racing, The Tire Rack, Discount Tire Direct etc. 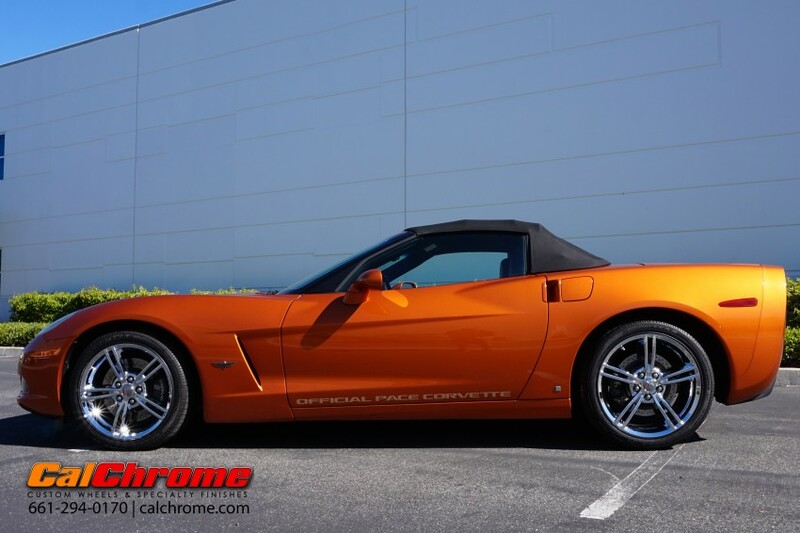 We are known nationally and recommended through The Viper Club Forum and numerous Corvette Clubs. Our quality is remembered well after the price is forgotten. Beadlock wheels chrome plated for Walker Evans Racing. If the wheel requires an accessory to be processed, such as the center cap or lug nuts, these items are priced separately. Please ask for a quotation. Normal automotive, one piece wheel production time is approximately 7 to 10 work days. Sometimes production length can be longer due to circumstances such as our work load, the intricacy/design of the wheel you are sending us, or repairs that need to be done prior to chrome plating. For specialty designs such as multi-piece wheels etc, please contact us for quotations. Chrome replacement center caps are available for many makes and models. 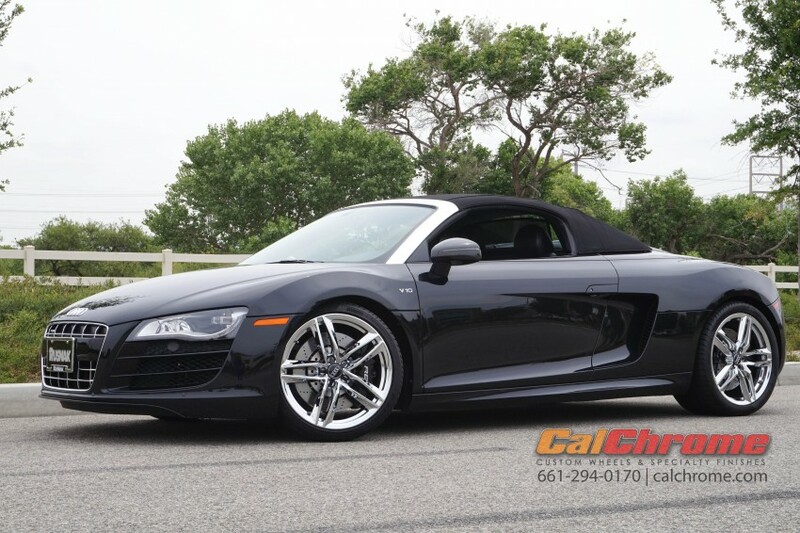 Please call us to see if a replacement cap for your wheel is available 661-294-0170. Payment is required prior to any work being performed. Payment for chrome work is accepted via Personal / Company check, PayPal, or Money Order. You may send payment along with the wheels attached to the Customer Instruction Sheet. This will help expedite processing time. If you are unsure of the work to be performed, we can upon receiving your wheels, send you an estimate once we have determined what work needs to be performed. The information above pertains to the first time chrome plating of an originally painted or polished aluminum alloy wheel. 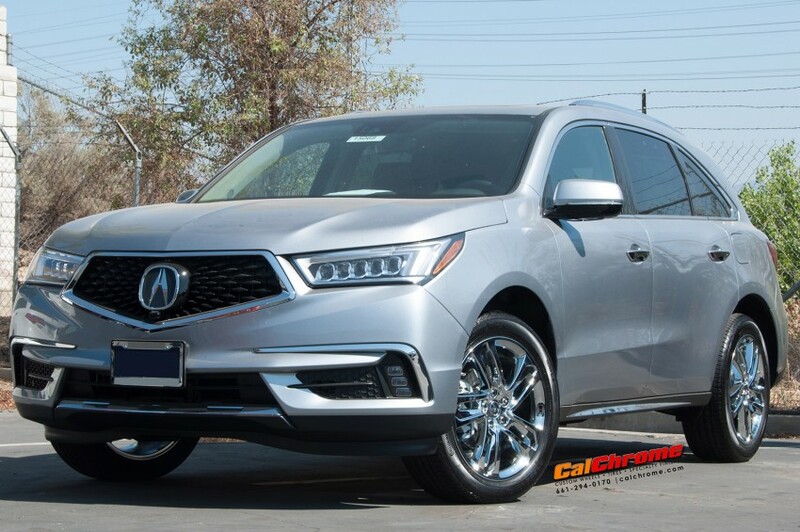 If the wheel was originally chrome plated, or has been chrome plated at any time, then it is now considered a chrome wheel and will no longer qualify as a first-time chrome or for first-time chrome pricing. 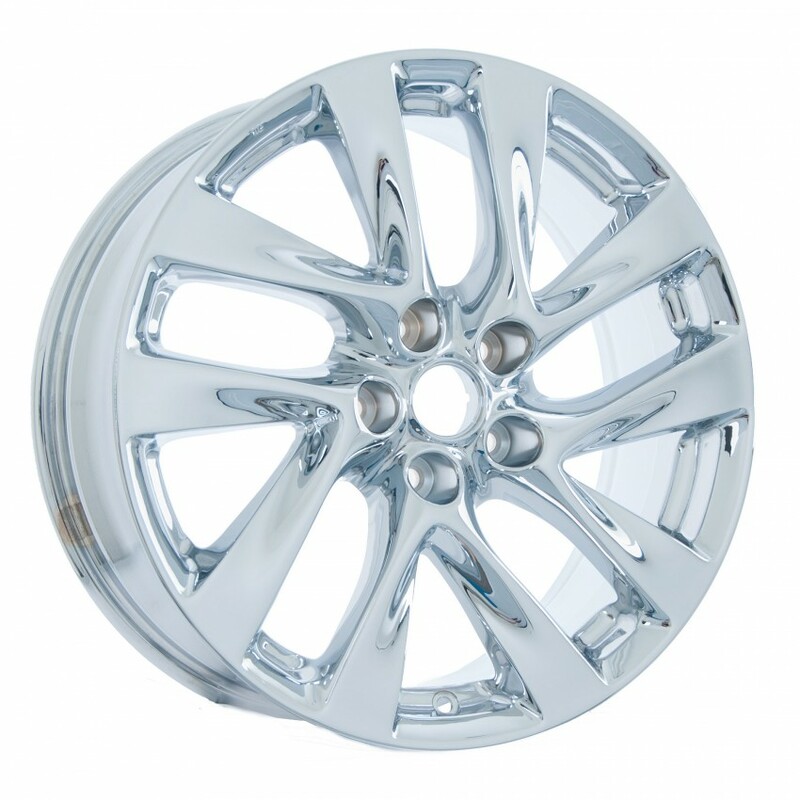 If you wish to have a chrome wheel re-chromed, click on the link below for more information. Possible corrosion or pitting damage may be present that was not apparent prior to the removal of the plating. Similar to the damage caused to wood by termites, some damage may not be visible from the outside. Aluminum alloy wheels are a softer material than the metals plated on them and corrosion will attack the softer metal first. 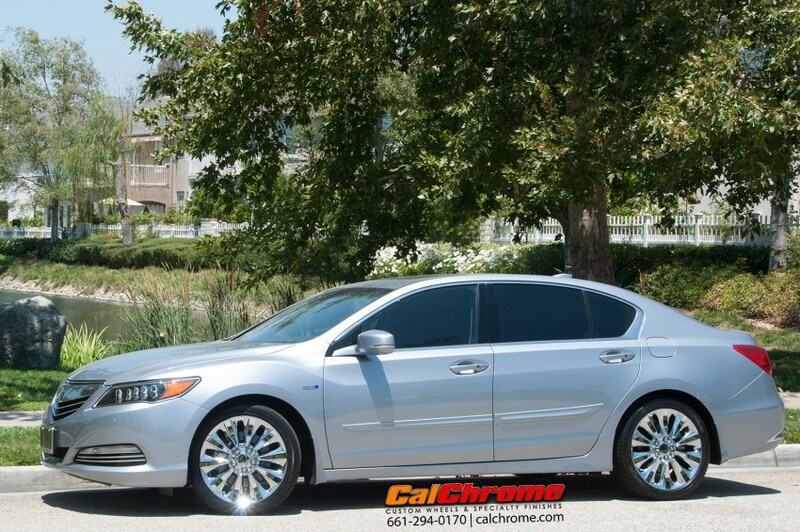 For Re-Chrome Call For Pricing 661-294-0170. When a wheel is electro-chrome plated, the entire wheel is submerged and the entire wheel receives a full plating deposit. The reflectivity and 'shiny-ness' associated with chrome plating actually comes from the polish work. This often times can be the difference between a wheel that looks good and one that does not, even though the plating itself may be identical. At California Chrome, we use a combination of mechanical and hand polishing on the entire face and window area of every wheel that we chrome plate. The inside barrel or 'back side' of a wheel does not receive any additional polish work, because of the inherent difficulty, labor involved, and the fact that it the inside barrel is rarely seen. For those customers looking for a full barrel polish, we do offer that service at additional cost. Usually reserved for show vehicles, a full barrel polish will take your wheel to the ultimate in reflectivity. 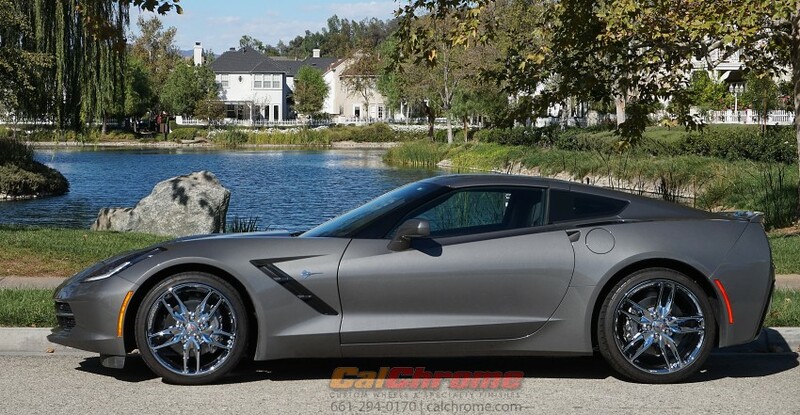 » Click here for more info on Full polish and other custom finish work available from CalChrome. There is a very common misconception about chrome plating your wheels: that the chrome plating adds significant weight to the wheels, increasing unsprung weight and decreasing performance. This myth is simply unfounded. 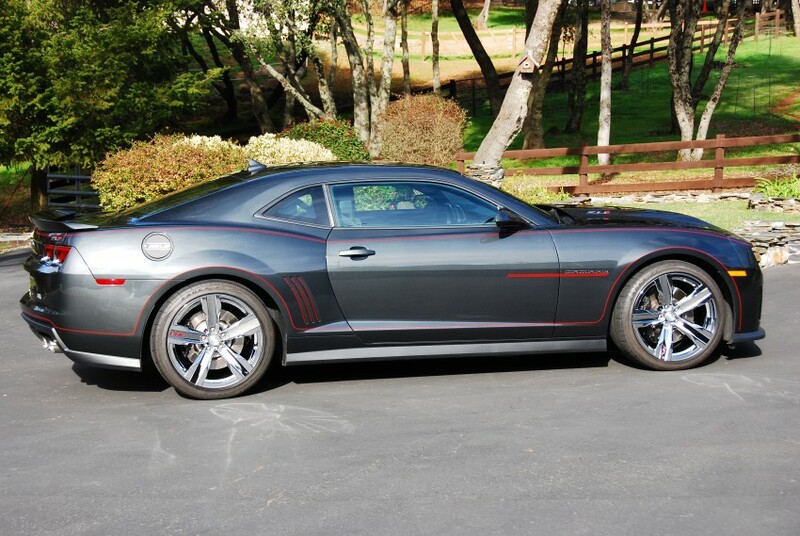 Below is an example of a 20" Dodge Challenger SRT-8 wheel. The photo on the left is the wheel in its factory finish, which is a typical silver paint. The photo on the right shows the same wheel after being chrome plated here at CalChrome. The weight difference between the two is barely one quarter of a pound. Weight difference of a silver painted and chrome plated 20" wheel. Important information for Aftermarket Wheels with Cosmetic Rivets. The cosmetic rivets will need to be removed before chrome plating. Please remove the rivets before shipping or they will be drilled out and lost. There is a wheel rivet removal charge Call For Pricing 661-294-0170. You may want to contact the manufacturer to see if replacement rivets are available before shipping the wheels to us. We may be able to supply replacement rivets at an additional cost but the replacement rivets may not match the original size and design. Some rivets may not be available at all. If your wheels have sustained minor curb damage (scraping), more often than not, your wheels will be able to be plated. The photos below are examples of acceptable curb damage that we are able to blend in during our polishing procedure at no additional charge. The image to the right is unfortunately a common problem that people experience with chrome wheels which have been mounted using a cheap water based tire lubricant. This corrosion occurs because inexpensive tire lubricants are water based (and often further diluted) and traps moisture in the contact area between the wheel and tire on your vehicle as well as inside the tire itself. Through normal use of the vehicle this moisture over time corrodes the chrome plating and can eventually cause separation of the chrome from the wheel. This often leads to a wheel leaking air beneath the chrome, even though the tire is perfect. The good news is, it is completely preventable! For years performance and luxury car manufacturers as well as aerospace and racing industries have used wax based, paste lubricant for tire mounting. The reason? There is no water in the solution to promote corrosion between the tire and the wheel. In fact, modern tire paste lubricants have added rust inhibitors to further protect against oxidation and ensure a long life for your chrome wheels! Insist upon European Tire Paste lubricant and Nitrogen tire inflation to ensure the maximum protection for your chrome wheels! To get the ultimate in protection against atmosphere based moisture for your wheels, insist on Nitrogen tire inflation as well as European Tire Paste mounting lubricant. Because nitrogen is dry and does not carry moisture, oxidation is reduced almost completely. When a normal compressor is used, the humidity in the air condenses in the form of water vapor in your tires, which can lead to the the same type of corrosion to the inner wheel or tire as outlined above. Read more about Nitrogen tire inflation here. Are you interested in an inner-barrel polish? 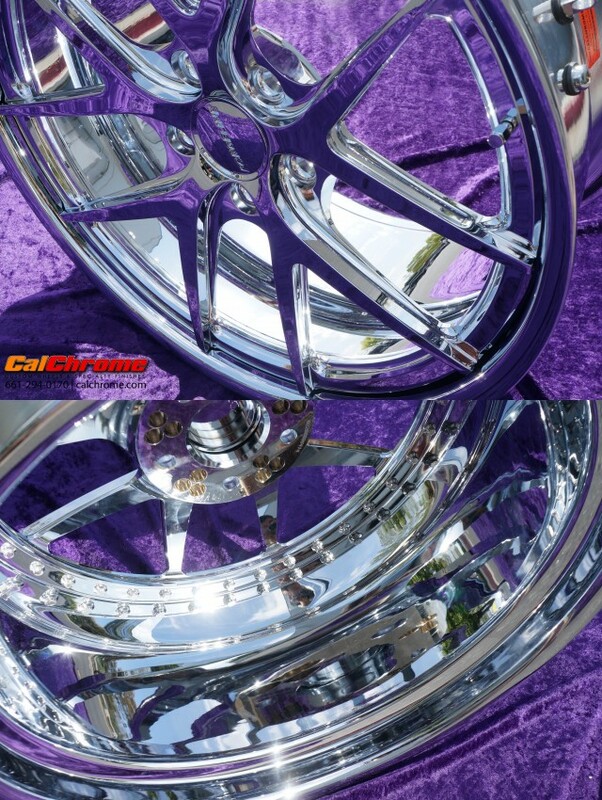 As well as other custom finish work available from California Chrome Wheel Inc.
View our Complete Product Line! If you don't see your wheel here, please contact us! Our wheel bank is constantly being updated. How do I determine what kind of wheels I have? Read our illustrated Wheel Type Guide. How does CalChrome's Quality compare with the Competition?